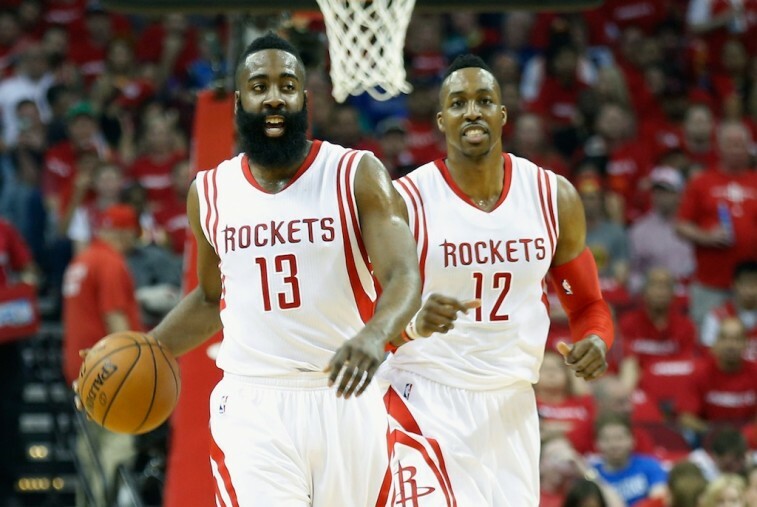 Can James Harden’s Epic Performance Fuel a Rockets Comeback? With their backs against the wall, trailing Golden State 3-0 in the Western Conference finals, the Houston Rockets refused to go quietly into the night. Instead, the West’s No.2 seed erupted for 45 points in the first quarter, putting the Warriors on their heels, and propelling itself to a 128-114 Game 4 victory. This opening frame was something truly special; something the numbers certainly back up. Based on the shot chart compiled by ESPN Stats & Info, you can see just how deadly Houston was in the first 12 minutes of the contest. The 45-point explosion came on 17 of 22 shots (77.3% field goal percentage), including 8 for 9 from three-point range and 3 for 4 from the free throw line. This was the most points the Warriors had allowed in a single quarter all season. It also matched the most points scored by any team in the 1st quarter of a playoff game in the shot-clock era (1985 Lakers- 45 vs Suns). And yet, while folks will discuss how impressive this first frame was, there was something that stood out even more: James Harden‘s performance. 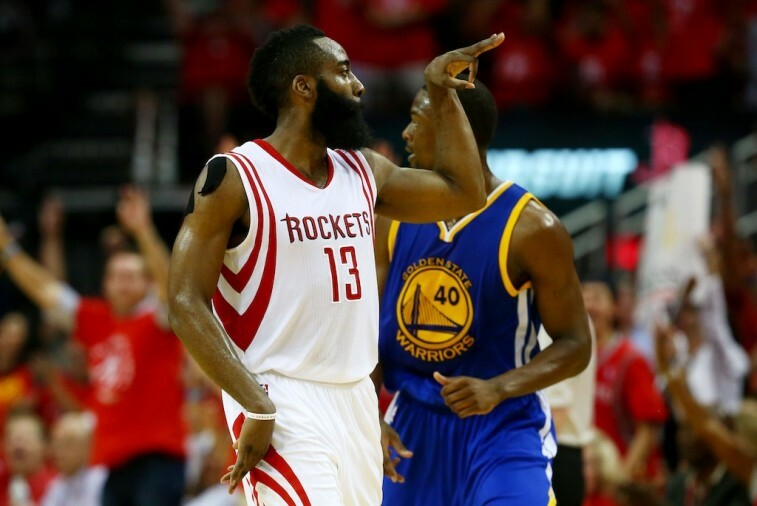 Disappointed with his lackluster Game 3 showing, Harden was determined to take his frustrations out on his opponent. Boy did he ever. The Beard dropped a playoff career-high 45 points, hitting 13 of his 22 shots and knocking down 7 of 11 threes. It was a masterful showing, that saw the All-Star put up 33 points after the intermission and help the Rockets live to fight another day. This is good news for a team that’s hoping to make a comeback for the second consecutive series in these 2015 NBA Playoffs. Still, this opponent is an entirely different foe than the Los Angeles Clippers. You have to wonder if Harden’s game was enough to inspire such a monumental undertaking. With Harden being aggressive on the evening, the rest of the Rockets were able to feed off his play. Josh Smith put up 20 points of his own, and Trevor Ariza added 17 as well. The quick start definitely allowed the Rockets to find their rhythm early. Still, if this group is going to achieve the impossible, it needs more out of center Dwight Howard. As it is with most superstars in the National Basketball Association, you can expect a guy like James Harden to consistently perform at a high level. Unfortunately for the Rockets, their big man isn’t as prone to success on a nightly basis. Despite Houston taking to the Warriors in Game 4, Howard only had 14 points. Granted, he did grab 12 rebounds as well, but this team needs him to do more. It needs him to be more. Harden’s going to get his numbers, and the rest of the supporting cast seems poised to carry its own wait, but the Rockets need Superman if they hope to overcome this big deficit. Monday night’s Game 4 featured one team getting off to a dazzling start, following by that group’s star player taking over. 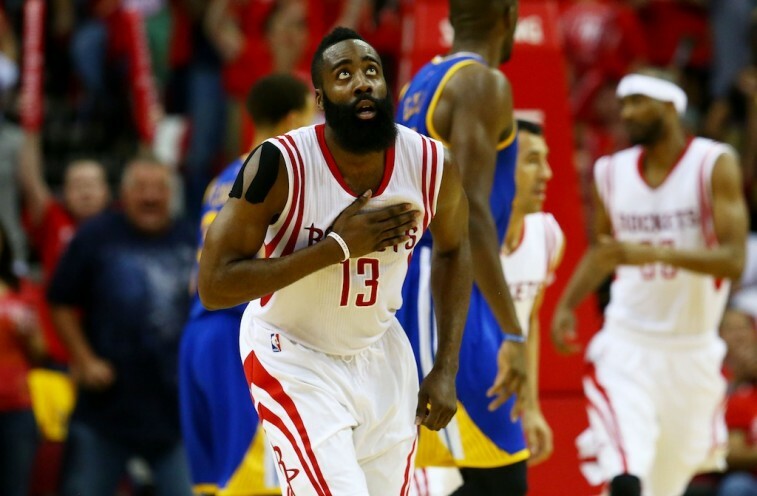 Harden’s individual effort, especially in the second half, was inspired. The Rockets need to find a way to play up to his lofty standards. Heading back to Oracle Arena for Game 5 should be a major boost for the Golden State Warriors. We’re sure The Beard is going to come out with everything he’s got. If the rest of the team doesn’t, then this recent performance will have been for naught. Stay tuned, everyone. The show’s not over yet.